Today we are focusing on the distressing condition of Flystrike in Guinea Pigs. Fly strike is a condition where adult flies lay their eggs on animals. Maggots hatch from the eggs and eat the surrounding flesh of the animal. Not only does this essentially eat the animal alive but the maggots also release toxins that slowly poison the guinea pig. This happens in damp and/or dirty places, so usually around the rear end of the guinea pig. Visible maggots on Guinea Pig. Visible eggs on Guinea Pig. 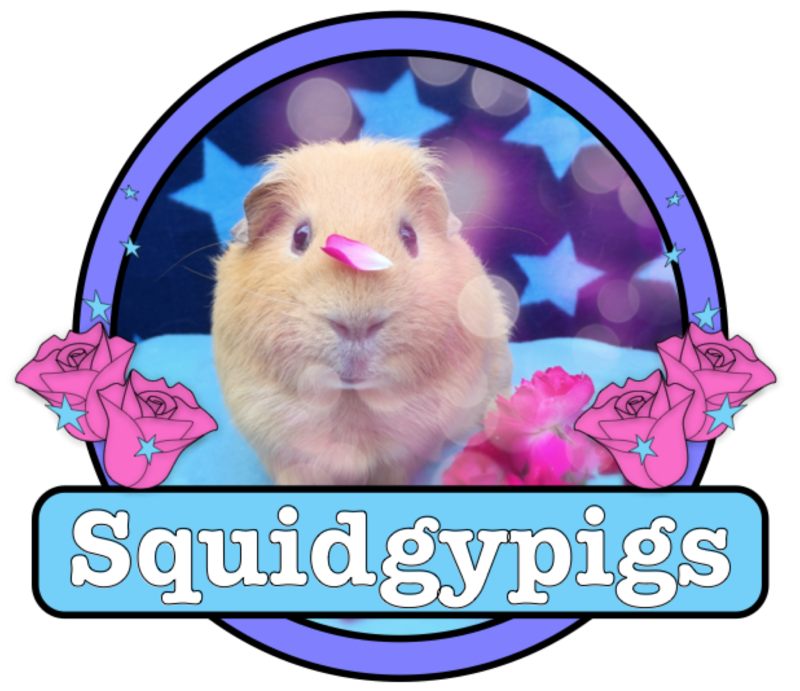 A Guinea Pig repeatedly reaching around to its bottom may draw your attention to this. Late stage Flystrike produces a distressed pig that will stop eating, drinking and may fit. This animal is dying from its infestation. 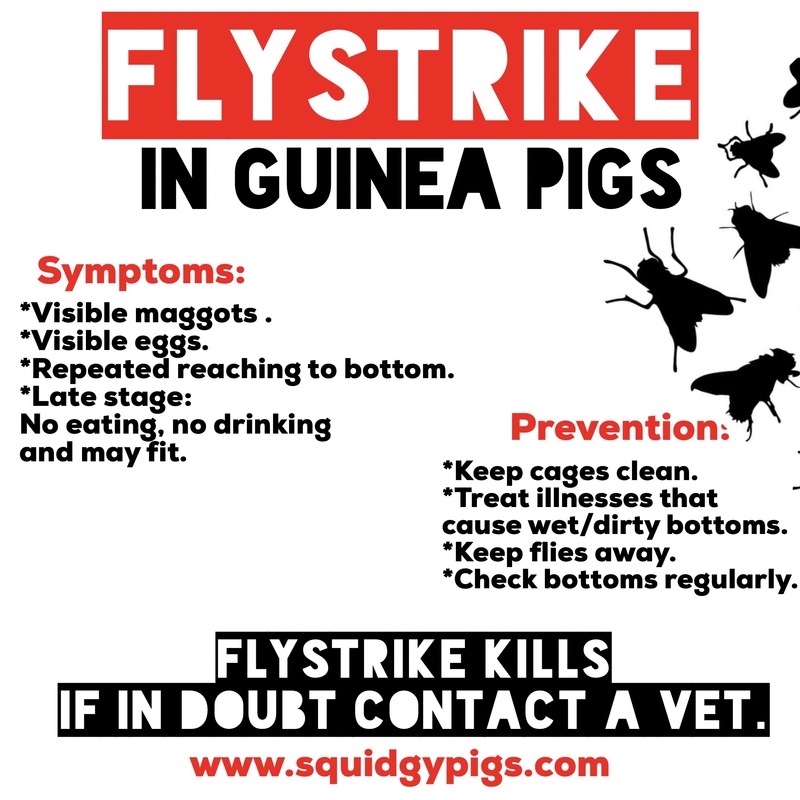 Flystrike kills Guinea Pigs, if in doubt please see a vet immediately. Immediately treat any illnesses that cause wet/dirty bottoms. Keep flies away from area. Check your piggies’ bottoms regularly. A spray like Johnson’s Fly Strike Protection for Small Animals or Beophar Fly Guard may help protect your pigs. If you see symptoms of Flystrike get your pig to a vet immediately. 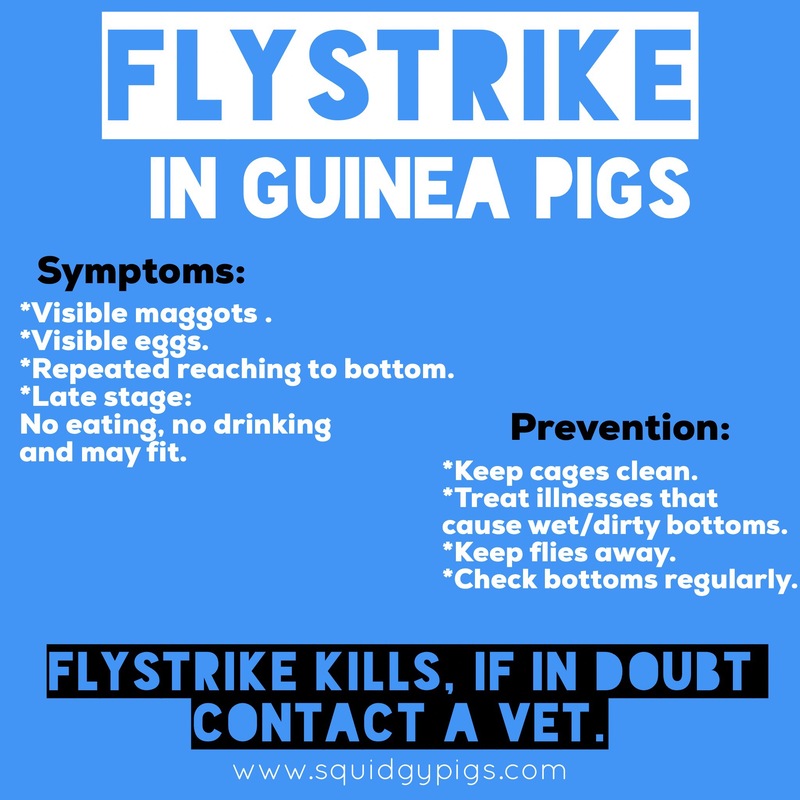 Flystrike is a veterinary emergency. Whilst you wait try to get as many maggots off your pig by using a warm damp tissue (use gloves if squemish). The maggots may have reached internal tissues and no longer be visible so you should still see a vet. 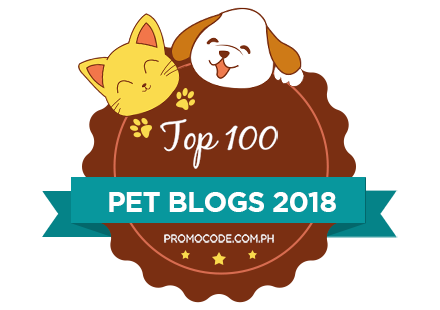 Your pet may need antibiotics to survive. Please also see our guides to Heatstroke and staying safe in the Hot Weather.